Here is a simple game that is wonderful for building perseverance and problem-solving skills. There are many ways to play the game. The simplest, and the one show my students first, requires 7 counters. These can be snap cubes, paper clips, or pennies. Anything small, relatively uniform, and easy to pick up will work. This game is best played with 2 players. The object of the game is to be the player who removes the last item from the pile. Players alternate turns and can remove one or two items each turn. There is a winning strategy for the game, which most children will figure out after playing the game a number of times. Once they have figured out how to win the game with these original characteristics, change either the number of items that can be removed at a single time, or the total of number of items in the original pile, and play repeatedly until the student figures out the winning strategy for this configuration. When a student has figured out a winning strategy, help her to put the strategy in words and write it down. You can present the task by saying, “If you wanted to teach a friend how to win at this game, what would you tell her?” As I’ve mentioned in other blog posts, this sort of writing is extremely complex and demanding, so I would recommend that you as the adult write down what it is the student says. Take the student’s original words and make suggestions about how they could be more precise by pointing out any expressions that are unclear or ambiguous. Once you’ve got a precise statement, copy it onto paper, so you can compare it with the winning strategies of other variations (i.e., when you are starting with a different number of blocks or are allowed to take away a different number of blocks). Once students have played a number of variations using counters, try the variation here in which players advance on a “ladder,” and the winner is the person who reaches the top rung first. You can find another version of the game, this one using playing cards, in Math for Smarty Pants by Marilyn Burns, p. 64. If you are working with students in middle school or beyond, challenge them to come up with a winning strategy that would apply to any configuration. This game, as well as the Factor Game, which I wrote about in my previous blog post, are both very engaging and can help students to think analytically. But even more than that, they both nicely model an excellent structure for presenting almost all new material in math, certainly up to and including beginning algebra. In both games I’ve described, students begin by doing a certain activity several times. After they have had some experience with the activity and have a beginning sense of how the activity works, they are asked to analyze it, that is, to figure out in much more detail, exactly how it works, which means, understanding the fundamental relationships at play. The activity is governed by rules that make it clear whether a suggested solution is adequate or not. The student’s analysis will involve some trial and error and will benefit from some way of recording their observations. The teacher’s role throughout this process is primarily to serve as a coach who can help the student record her work, break it into smaller parts, and help her evaluate the adequacy of her solutions. Although previous knowledge is useful, if not essential, to perform the task, the student’s job isn’t simply to parrot some previously learned information, but to apply it to a particular task. In my last post I discussed the importance of developing fluent performance of basic skills. The next question to address is: What are the most efficient means of achieving this goal? Or, in other words, what are the characteristics of efficient practice? In order to be able to recall new information easily, the best time to practice remembering it is when one is on the verge of forgetting it. Initially, the interval between remembering something and forgetting it is quite small. With children learning something like arithmetic facts, it can be just a few seconds. But once some new information can be recalled correctly after a very short delay, the amount of time until one is about to forget it increases. Moreover, the very act of trying to remember something is the primary means of strengthening the memory. Therefore, the most efficient way to commit something to memory is to try to recall it at increasing intervals. The general idea behind spaced repetitions is quite easy to understand. Our brains are inundated with an enormous amount of information every day, much of which is not very important. It would be quite daunting if we remembered all the irrelevant details of our day, such as what we wore or had for lunch or who we passed on the street every single day. It is important, therefore, for the brain to store only those memories that are important, and the way it does that is to make stronger connections with information that is repeated, that is, that appears again and again in our environment. Once a memory is reasonably well-established, it requires very infrequent review to remain relatively strong and easily accessible. Learning new material well, though, involves not simply remembering it as an isolated, decontextualized fact. Rather, learning something well requires that a person apply the information in the right way and under the right circumstances. There is overwhelming evidence that the best way to achieve this goal involves doing a variety of different tasks during a different practice set instead of practicing just a single skill.. In a primary math class, for example, that might mean shunning review that focuses on calculations with just a single kind of calculation, such as a page with just addition calculations on it, and instead doing a randomly presented mixture of addition and subtraction calculations, and perhaps within each operation, a couple of different types of problems, such as those with just single digits and those with two-digits. Unfortunately, teachers and students often avoid this sort of “interleaved” practice because in the short run, it is much harder, and therefore the student performs the task more slowly and with more errors than a practice session involving just a single skill. It is slower, of course, because the student has to make more judgments about the situation in order to recall the correct information. However, in the long run, a student’s ability to apply the new skill in a variety of appropriate contexts is greatly enhanced with interleaved practice. The reason is that what really needs to be learned isn’t only HOW to do the task, but also judgment about WHEN to do the task. And when this judgment or discrimination step is a regular part of practice because it is interleaved or varied, learning is more robust and durable and it is more readily mimics how the person will apply the knowledge outside the classroom or practice session. So, to make practice as efficient as possible, space the intervals in which the student is asked to recall the information in increasing intervals, and also make sure that practice time is spent with “interleaved” material, in which several related skills are practiced at the same time. In my next post, I will give examples of how to apply these principles to prepare practice routines for helping students develop rapid performance of some particular math tasks. What was going on? These kids were well-behaved and attentive. The teacher managed the group ably. The classroom was well-equipped and well-organized. The children had adequately developed counting skills and other background knowledge. And, for goodness sakes, they had physical counters to help them with their calculations! This troubled lesson presents, I think, an example of an extremely common situation, namely focusing on math symbolization too soon, and failing to clearly show that it is a means of recording particular actions. In this particular lesson, for example, the teacher wrote a few subtraction expressions on the board, such as 4 - 1 = , and then proceeded to say something to the effect of, “Today we are going to work with subtraction. Here is an example of a subtraction number sentence. To figure out the answer, I’m going to take 4 counters and then I’m going to take away 1 counter. How many do I have left? Yes, I have 3 left, so that is my answer. Four take away one is three. In other words, the actions with the counters were presented as a way of solving a particular kind of calculation, rather than as an example of a common concept, “removal,” which we can record with certain math symbols. The distinction may seem subtle or overly nuanced at first, but it is extremely important. To begin a lesson with the math symbolization the way this ill-fated first grade teacher did is to begin with the thing the students are likely least familiar with, so it is the hardest thing for the students to attend to and to put into any sort of familiar context. The steps of how to use the counters then become very abstract and decontextualized steps to memorize, rather than components of a sensible, logical and familiar experience. As a result, the steps become very hard to remember and execute in the correct sequence without quite a bit of practice. In this sequence, it is important to note, the symbols were presented AFTER the concept was exemplified with the manipulation of physical objects. In this way, it is clear that the symbolization is a code, a recording system. If a teacher starts a lesson with the symbolization first, however, the concept remains obscured and the role of the symbolization unclear. After a few examples, the teacher should then ask the students to write down the number sentences that go with a few more examples she performs with the entire class, continuing until everyone can record these actions with the correct symbolization. It is not difficult to show how all of the symbolization covered in the K-8 math curriculum can be presented in this manner and following this sequence, with the new symbolization presented only after what it represents has been shown. There are several important lessons to draw here. First of all, just because the shelves in a classroom are groaning under the weight of math manipulatives doesn’t mean that math concepts are being introduced as actions on quantities. It is certainly possible that the various physical things to count are being presented primarily as tools for calculation, as in the example I shared at the beginning of this blog post. Second, many math expressions, even ones related to very basic concepts, are used to record many related, but subtly distinct actions. For example, we can use an expressions such as 4 - 3 to calculate the remainder if we remove 3 objects from a set of 4 objects. But we can also use it to answer a questions such as, “If one person has 4 books and another has 3 books, how many more books does the first person have?” In this situation there is no removal as in the first example, but a comparison. Likewise, we can also use subtraction to think about the question, “If I need 4 chairs at the table and there are already 3 there, how many more chairs do I need?” This is also a type of comparison, but slightly different than the previous example. If instruction starts with equations instead of actions on quantities, then these distinctions can remain hidden to the students and it will usually take some time to completely fathom. However, if one starts with a proper variety of common situations and then shows how they can be symbolized, the range of information that is generally packed into or associated with the symbols is much more transparent, and it makes it far easier for the student to apply her math knowledge to solve problems that come up in word problems and in, even more importantly, in day-to-day life. Doing so allows the teacher to start with the familiar and then introduce the new material tightly connected to the familiar. In this way the student is readily able to embed the new information within the network of associations she already has, rather than lingering in some isolated recess of her mind, disconnected from experiences she has outside of math class. Embedding this new information in an already existing set of associations improves both her retention of the new material as well as accelerates her ability to apply it correctly in various situations. As I mentioned in the earlier blog posts, the concepts of arithmetic and basic geometry, when presented as actions, are not very difficult for children to understand. Their confusions and frustrations with math, therefore, usually are NOT due to any inability to grasp the underlying concepts being investigated, but because they do not adequately understand what the associated math symbolization represents. In short, the most likely challenges and confusions children will have with elementary and middle school math have to do with understanding the symbols, and these potential confusions can be almost completely avoided by following the simple precept presented here. In the first two posts in this series, I’ve discussed some principles for organizing how to introduce new concepts to students. After students are introduced to new concepts, however, they have to learn how to do associated calculations, and they have to learn how to do these quickly. In the next few blog posts, I’ll talk a bit about how to help students become fluent with the calculation procedures they need to learn in K-8 mathematics. What's Wrong with American Education? With the recent contested confirmation of Betsy DeVos as Secretary of Education, I thought it would be timely to touch on the broad question of the state of American education and not just on a narrower issue with regard to teaching and learning. Often, as in the debate about Devos’s nomination, the argument we have in this country centers on the benefits or limitations of public schooling and the extent to which market forces and competition can improve the teaching and learning of our students. To be sure, there is good reason to be concerned with the quality of teaching in our schools. I have seen too many students who have struggled needlessly or who have trudged through activities that never ignited their engagement in a topic. These faults are real and, unfortunately, widespread. Given the billions of dollars spent for published curriculum materials and the countless hours that teachers spend developing and refining lesson plans, one might well ask, “Why is putting good curriculum in classrooms a challenge?” The problem certainly hasn’t been due to a lack of funds or a lack of effort. I suspect, rather, the problem is similar to the one raised by the old story of the blind men and the elephant. In that story a group of blind men set out to describe an elephant. Each blind man touches a particular part of the elephant and describes the elephant in terms of what he feels. But each blind man confines himself to just a single part of the elephant. As a result, each describes a single feature of the elephant accurately, but mistakes that feature for the whole. In some versions of the story, each blind man becomes irate at the descriptions provided by his fellows that are so different from his own experience. Likewise, I think, significant and broad educational reform has remained elusive because it is easy for educators at all levels, from academic researchers to curriculum designers to administrators to teachers to parents, to concentrate on only a few of components of good teaching at any one time. The weak curricula that we have in many classrooms often contain some elements of good teaching. They might, for instance, present interesting and relevant activities, or provide precise directions, or keep students constantly engaged in relevant work, or show students how new material is connected to what they already know, or lead them in rigorous analysis to explore and reveal important patterns and relationships, or provide efficient practice, or include opportunities to apply and extend what has been learned, or help students think explicitly about their own learning so that they can learn how to learn. But It is the rare curriculum that address all of these areas. And the omission of any of these components makes learning unnecessarily cumbersome and difficult. So to all of those who want to improve teaching and learning, I say, “Keep your eyes on the curriculum!” Genuine educational reform is curriculum reform. And our ability to achieve serious curriculum reform rests on our ability to speak more clearly and more rigorousy about all the components of good teaching. The app features the same lessons in the same sequence that are found in the Student Workbooks A1 and A2. The therefore include all of the Word Puzzles, the Reading Chains, Spelling Chains, reading pages, Tap-and-Say pages and handwriting practice pages. Please pass the word and let us know what you think. The new app joins the e-reader versions of the Storybooks for Level A in the digital universe. And in the works are a Level A app for classroom teachers to use for whole group instruction, and an app version of the Level B materials. The app is available on the Apple App Store and on the Google Play Store. Last week I wrote about the importance of handwriting instruction, even in our increasingly digital age. Today I want to review some key elements of good handwriting instruction. Another important pedagogical aspect of providing such clear instructions is that it helps the child with motor planning and helps build the habit of “self-talk” that is essential for building up skills at self-monitoring and self-correcting. A nice trick that I learned years ago is to encourage young children to speak the letter-formation directions out loud directly to the tip of their pencil so that it knew what to do. This technique makes the handwriting practice a great deal more enjoyable for the children and also helps them feel themselves more in control of what is going on. Many handwriting programs, especially the inexpensive workbooks one finds readily in book stores, provide the letter formation directions in the form of numbered arrows superimposed over an already formed letter. I suspect that most children find these lines more confusing than helpful. Also, unlike directions that are provided verbally, they cannot be rehearsed and internalized as easily and are more difficult to use for planning letters made without the benefit of the arrows. There is also a wide variety of additional rules available to help guide the writing. A bottom rule, that is, a line on which to rest the bottoms of the letters, is essential. I also like a mid-line that shows the correct height of the “short” letters such as a, c, e, and the short parts of letters such as b, d, and h. I think the midline is extremely useful for beginners. Many programs also provide a top line and some also provide a descender line, often in red, that indicates the boundary for letters such as g and y that have parts that descend below the base of the letters. These probably don’t hurt, but I don’t know that they are necessary for most students. It is most efficient to teach students from the very beginning to associate a sound with a letter. This practice will reduce the time it takes for students to learn basic letter sounds and will reinforce the general connection between letters and sounds. Letter sounds are much superior in this work than letter names, because letter sounds can be used directly both to read and spell words. So it is ideal to incorporate handwriting instruction as a part of beginning reading and spelling instruction. Some programs incorporate a technique known as “sky-writing” into the instruction. This involves having the student extend her arm with her pointer finger also extended and then tracing letters in the air. The muscles involved in this activity are very different from the muscles involved in writing the letters with a pencil, so I doubt how much this practice actually helps students improve their writing with a pencil. Furthermore, because the letters are traced in the air and are hence invisible, it is harder for the student to evaluate whether he has done a good job or not. Nonetheless, if you are working with young students who need to move around, this might be an option to incorporate some more physical activity in a lesson. Much better, especially for very young students, is to have students trace in a salt-tray or similar contraption that will allow them to make a visible mark and receive some tactile stimulation as well without using a pencil or marker or chalk. There are many variations and lots of information about these on the internet. In an age dominated by digital devices the practice of handwriting might seem a quaint relic of times past, destined to fall out of use like quill pens and inkwells. Indeed, in most schools nowadays time devoted to handwriting instruction has been reduced and in some cases virtually eliminated. The exact same principle applies, by the way, with regard to fluent writing of the numerals. Often when I work with students referred to me for tutoring because they are struggling in math, I find that they labor writing the numerals and can often not do so correctly and legibly. The effort they require to form the numerals detracts from the attention they have available to focus on the higher level math concepts they are working on. In addition, not surprisingly, they make frequent calculation errors because they cannot read their own writing! Fluent and accurate handwriting is also a critical part of learning how to read and spell. 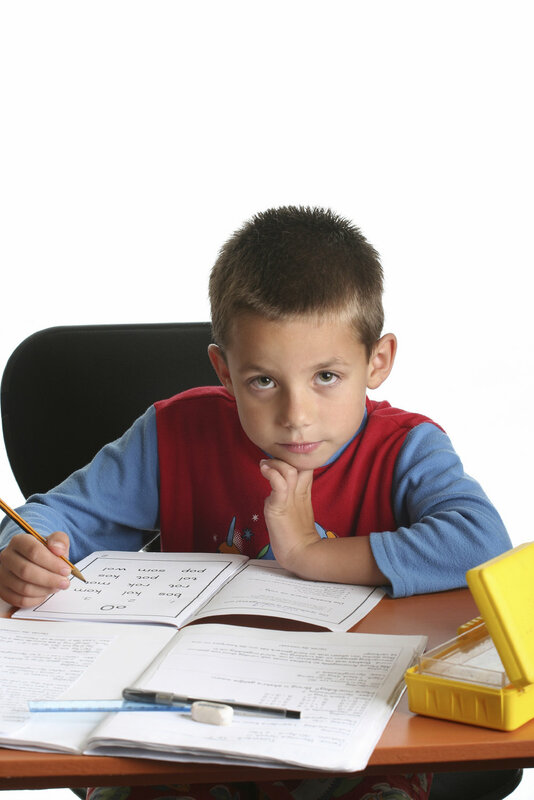 The motor engagement involved in writing words boosts the student’s ability to analyze and remember letter patterns more easily than if he examined the words solely by sight. If you have any doubts about this, try to learn to read Chinese characters. Work on a set of characters solely by examining them visually, and then work on a similar set in which you also learn how to write the characters correctly and fluently. It's amazing how adding a motor component to the analysis of the visual form improves one's ability to remember it. There is a related debate, even among proponents of explicit handwriting instruction, about whether or when to teach cursive handwriting. Some educators maintain that cursive is easier for children to learn than manuscript handwriting, especially for students with various kinds of learning difficulties, and so this should be the first (and perhaps only) form of handwriting taught. This view, however, as always remained a minority position, and it never made sense to me. It seems to make much more sense and to be much more efficient to teach beginning readers a handwriting style that matches the form of the letters they see in text. The point is that “cursive” does not necessarily mean “looped cursive.” Indeed, a number of educators prefer teaching students a modified italic script. As with all cursive handwriting, using an italic script helps a person write with a consistent rhythm and greater speed than is possible with the block letters of typical manuscript handwriting. Modified italic script has the additional benefit of representing letters with much the same stroke patterns as employed in standard manuscript, and so is easy to learn. So students and teachers, don’t throw away your pencils or pens (or styluses) just yet! You will be rewarded for learning how to use them well. In my next post, I’ll go over the key elements of good handwriting instruction and list some good handwriting programs.